There has been quite a bit of digital ink spilled about the significant changes Facebook made this fall to the EdgeRank algorithm. Many marketers have speculated that Facebook has made these changes to make brands more dependent on spending advertising dollars to reach the same amount of fans they were reaching before. A speculation which has some in the industry daring to wonder aloud if marketers should abandon Facebook altogether. Which, in my opinion, seems rather indignant. Marketers have been getting a lot of mileage out of Facebook for very little spend. For example, say just one of your brand’s Facebook posts reaches 5000 people. That cost nothing (time and brain power yes, but not currency). How much would you spend on search, display advertising, or mass media to reach that same 5000? Probably a lot more than nothing. The EdgeRank algorithm is what makes Facebook different than practically every other social media platform. 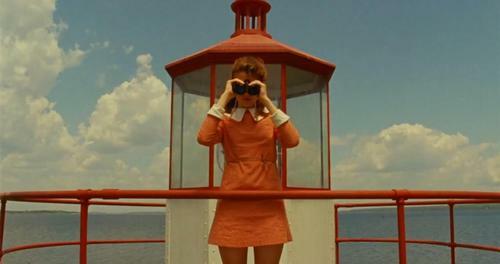 Twitter, Tumblr, Instagram et al displays the posts of the accounts you follow chronologically. Facebook does not—it tries to figure out what you want to see. Which is why I tell my team to approach the Newsfeed with the same mindset they would use to approach Google’s PageRank. Essentially, our job is to game the Newsfeed—even when those rules keep changing. (Those changing rules, by the way, is what makes me love what I do. I don’t get exasperated, I get busy). 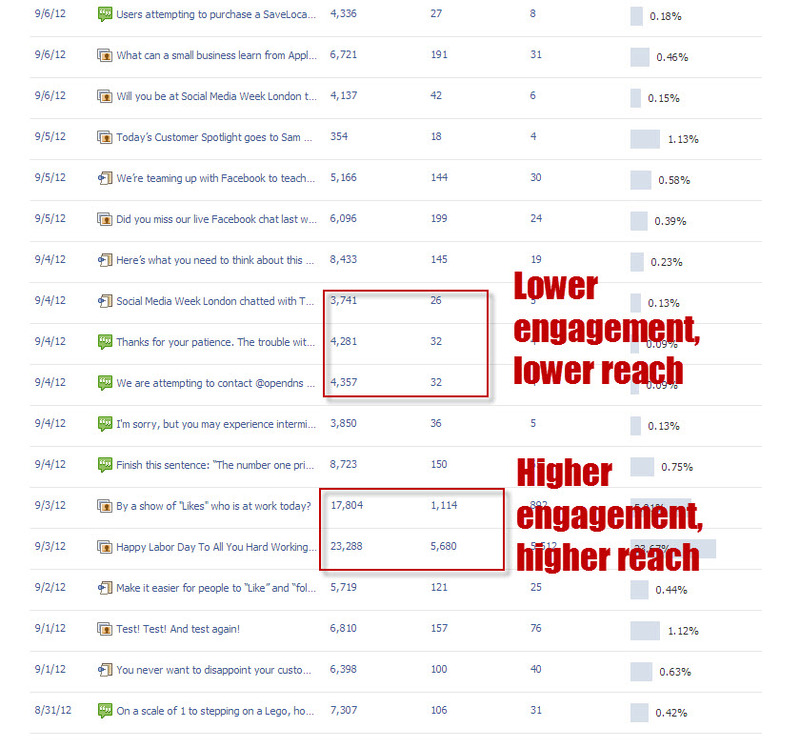 Reach, not engagement, has always been my primary metric in regards to over Facebook program success. This may seem backward in an industry that’s been obsessed by the E-word for the past two years. But engagement has always been a means to an end. The more engaged our fans were, the more reach we got. This was true not just in general, but at the post level as well. At the post level, that is, until recently. These metrics are indicative of what I’ve been seeing for 18 months or so. The more engagement a post got, the higher the reach. Photos always received several times the amount of engagement that text-based posts got. Following that logic, our strategy was very focused on images. However, since the end of September, we’ve noticed that this strong correlation between engagement and reach in individual posts seemed to disappear. Check out these more recent posts, sorted by reach. 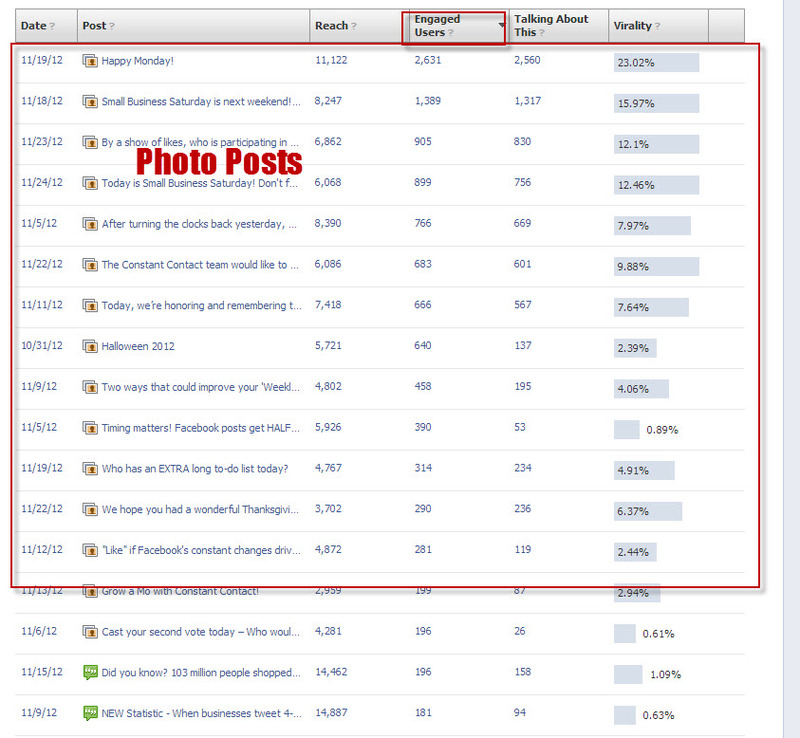 The posts with the highest reach don’t have much engagement (comparatively). 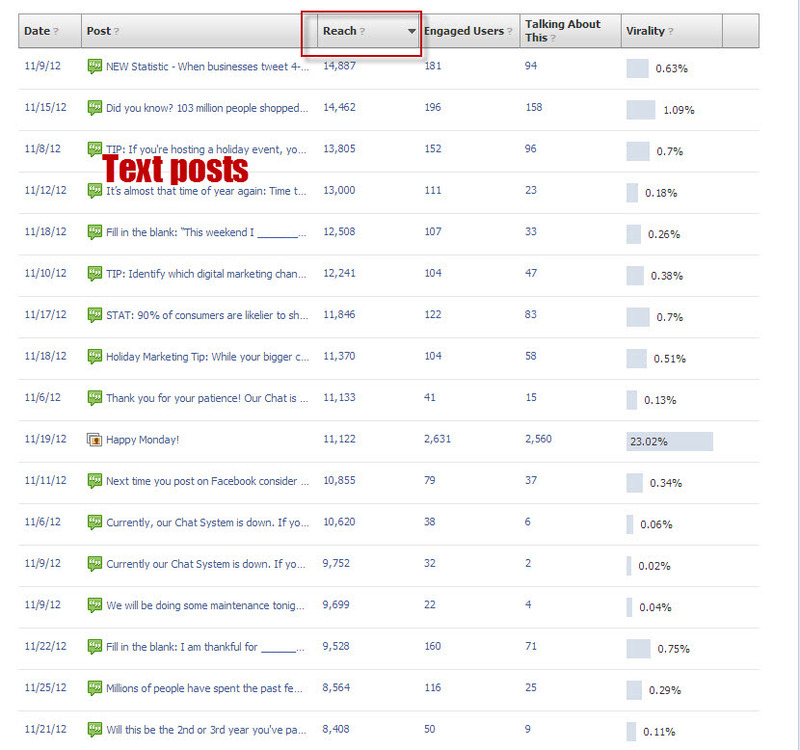 What’s more all of the posts with the highest reach are text-based posts. Check out the posts again for the same time period, this time sorted by engagement. Lookee here—several times the engagement of the text-based posts with about half the reach. Oh and see they’re all photo-based posts? So what’s going on? Should we reverse all the expert advice of the past year (use images! lots of images!) and do text posts only? Not so fast—Facebook has been clear that getting people to engage with your brand is essential to Newsfeed visibility. It seems (at least for the time being) that high engagement and high visibility just won’t be happening within the same post. So here’s the not-so-secret secret sauce: you need both. Posts that are deliberately about driving engagement (cat photos anyone?) will fuel posts that you really want a large percentage of your audience to see (announcements, tips, sales). Just don’t expect that 25% of your audience is going to see your next cheezburger cat rendition. We’ve adopted this staggered strategy and our overall reach, which dipped dramatically in the wake of these changes, is beginning to climb back up again. Have you noticed something similar? What strategies are you using to get your reach back up.